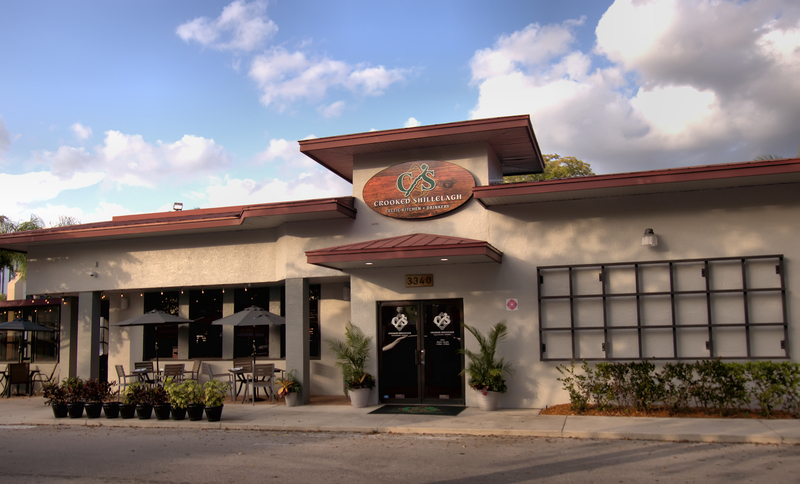 The space presently occupied by CS has been home to many restaurants over the years. Hearing they had opened just a few weeks ago, I was instantly intrigued after looking at their Menu, which is the same for lunch or dinner. Wanting to order a good cross section of choices from the offerings at CS, I recruited five friends to join me for dinner recently on a Saturday night. When I arrived at the restaurant, I was in shock. The surrounding strip mall, which in good times had over 10 businesses, including an Albertsons followed by Publix, was completely empty except for one business. This is an area very much in transition, but more on that later. The restaurant is split into two areas, a bar and the dining area. The bar takes up approximately 1/3 of the interior of CS. They have a full bar, with some Irish beers on tap (Guinness, Smithwick's and Harp) in addition to a number of Irish whiskeys (Bushmills, Jameson, Teeling and others). One of the owners of CS, Ben, in addition to the head chef, David, both have impeccable credentials. Ben was manager of The Barefoot Beach Club for over 13 years, no small feat for one of the most prestigious and expensive developments in Southwest Florida. David, after culinary school, spent about three years at Restaurant Daniel in Manhattan, a two Michelin-starred establishment owned by Chef Daniel Boulud. After that, David worked for a year in a kitchen of Alain Ducasse. Chef Ducasse has been awarded 21 Michelin stars over the years at his international consortium of restaurants. Chef David later moved back to Southwest Florida, working as Chef de Cuisine at the club with Ben before both started CS. The first thing ordered were the crooked Reuben wontons. Wonton wrappers are stuffed with in house prepared smoked corned beef, sauerkraut and swiss cheese. They're served with Emerald Isle Sauce, a Miracle Whip mayo based sauce with prepared mustard, vinegar, basil, tarragon and other ingredients. Corned beef is a salt cured meat associated with Ireland and was a poor man's bacon there. The corned in corned beef comes from the "corns" of salt used to cure it. 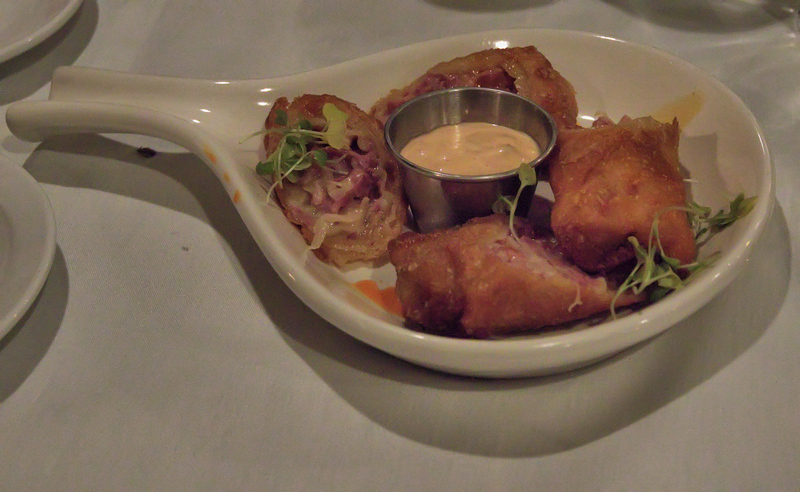 This was a very interesting and flavorful starter and highly recommended, especially if you are a Reuben fan as I am. It's interesting, corned beef and cabbage is an American invention, the traditional Irish dish is bacon and cabbage! I was in the mood for oysters and ordered the North Sea oysters. Oysters from the North Sea were certainly part of Celtic cuisine. The oysters were atop salnicornia or sea beans and topped with a shallot chili dressing, the plate garnished with pickled cucumber and pickled onion. Salnicornia, also known as sea beans, are very salt tolerant succulent plants that grown near beaches and salt marshes. This was a first for me. The salnicornia were perfect with the oysters giving them almost that brininess that is lost upon frying oysters, which was perfectly balanced with the shallot chili dressing. The flavors in this dish were excellent but I thought the oysters were very small, which I felt really detracted from the dish. I mentioned this to our server, and within seconds Ben, the owner, appeared table side to apologize and another almost full portion of oysters appeared at the table minutes later. I really thought this gesture was very telling of the credentials of both the owner and chef which as a diner, will make a lasting impression on me. One of my dining companions ordered the twisted cobble wedge salad. This was a variant on a traditional wedge salad. Iceberg lettuce was served with pickled onions, cucumbers, hard boiled egg, grape tomatoes, Irish bacon crumbles and dressed with Belfast Blue cheese dressing. I believe Belfast Blue is one of those raw milk blue cheeses produced in Northern Ireland. 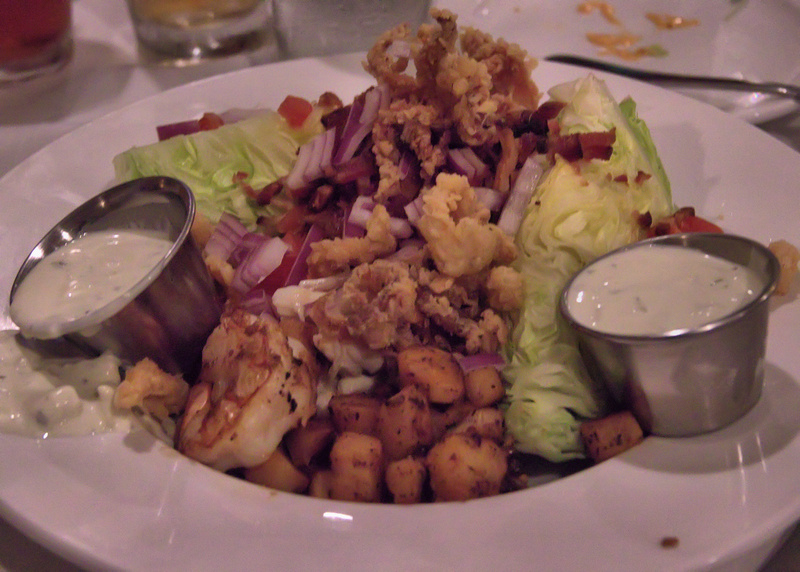 What made this dish exceptional were the eight ounces of seafood (poached shrimp, blackened bay scallops, crab and fried calamari) place atop it. This dining companion loved it. 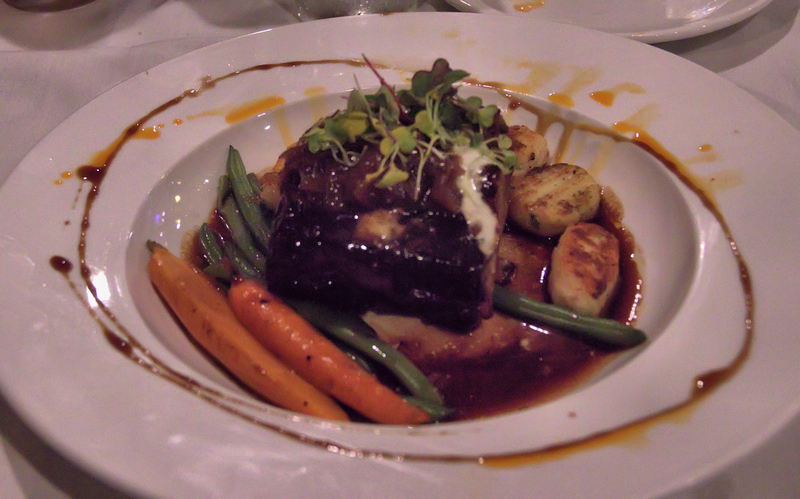 I have a soft spot for short ribs, and ordered accordingly. This menu item was excellent, the boneless short ribs served with crisped bone marrow, herbed creme fraiche and braising jus (juice). Baby carrots, haricots verts and ricotta-stuffed gnocchi, pillows of deliciousness, sealed the deal. This was an explosion of textures and rich flavors. Upon change of our cutlery, our server forgot to give me a knife. No matter, the beef was like buttah and could be eaten with just a fork. Highly recommended. Other dining companions ordered the highland swine and shillelagh sandwich. The former was wild boar tenderloin, ham, boursin cheese, onion jam, grilled peach and celeriac slaw on a brioche bun with cottage fries. I sampled some of this, and the sandwich was even better than the description of its ingredients. The latter sandwich, the shillelagh, was practically a club sandwich on depo-testosterone and would please any club sandwich and/or meat lover. Layers of chicken breast, smoked ham and corned beef, applewood smoked bacon and cheddar cheese are served on a brioche bun and served with cottage fries. This was easily enough for two. These were very good to excellent meals that were served to my dining companions and I on our visit to SG. 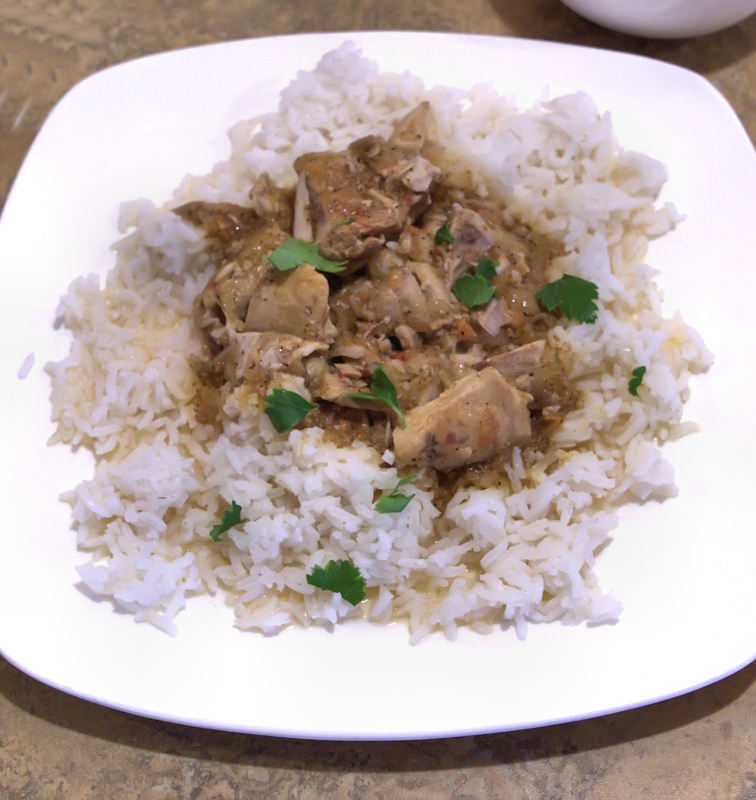 The hospitality of the owner and culinary skills of the chef are some of the best in the area. There is one caveat however. Do not be shocked by the desolate strip mall that surrounds SG. You may even wonder why anyone would possibly open a restaurant here. It's only a matter of time, and probably not long at that, before The Bayshore Gateway Triangle becomes a very different place. SG is smack dab in the middle of it. I think it will turn out to be a very astute business decision to get in on the ground floor of this seemingly imminent area development. That's that for another post on Forks. is a non profit whose mission is to connect consumers in the area with local food producers and/or local food concerns. This is an Interview with Courtney Fraser, Eat Local Lee director, on her efforts to make that happen. The interview aired on WGCU, the local NPR and PBS affiliate for Southwest Florida. Nicole Cruz, owner of Circle C Farms, purveyors of locally produced livestock and other goods, also contributes here. 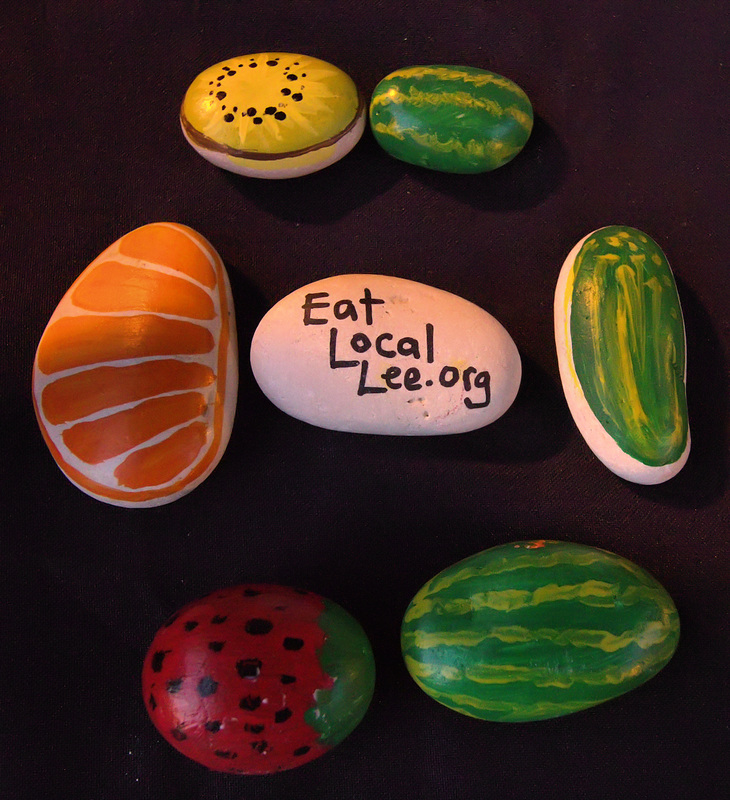 Eat Local Lee is a win-win benefiting local producers and consumers alike. is a restaurant in Naples, FL. 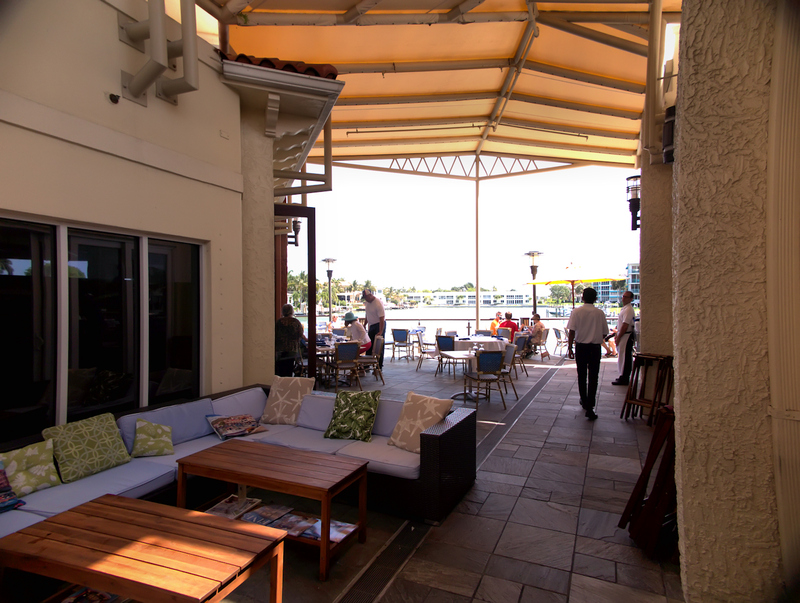 It is located in The Village on Venetian Bay commonly known as Venetian Village. Fish has been open for almost six years. As the discerning reader may surmise, Fish serves primarily seafood. 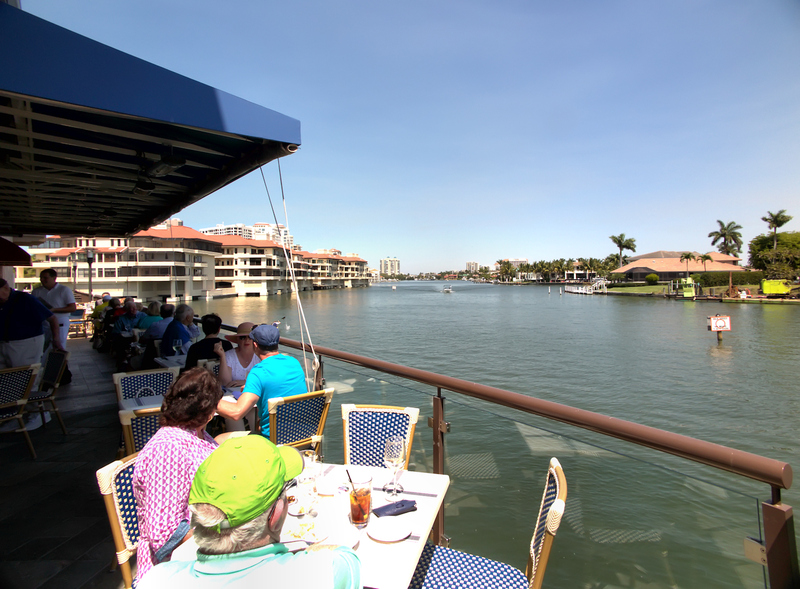 The restaurant, aesthetically, is one of the better in Naples due to its views of Venetian Bay. 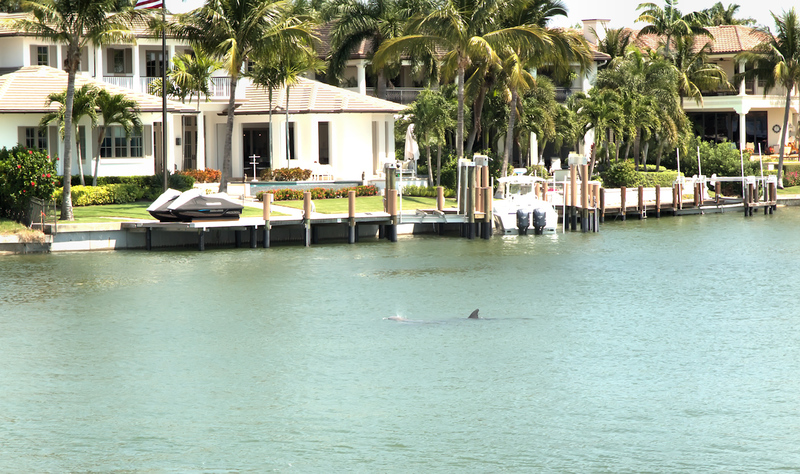 Who knows, you may even spot a dolphin as you're dining by the water. My dining companion and I recently went to Fish and ordered off their Lunch menu. The first thing ordered was the warm artichoke salad, which we split. The salad was excellent; simple but a very nice meld of flavors and textures. Radicchio was topped with artichokes, shaved parmesan cheese and a balsamic/olive oil vinaigrette. The bitterness and crunch of the radicchio was perfectly tempered by accompanying cheese and vinaigrette. All of this was made even better with the addition of the grilled artichokes. The portion split between us was more than adequate for a starter. Highly recommended. My dining companion ordered the grouper BLT. 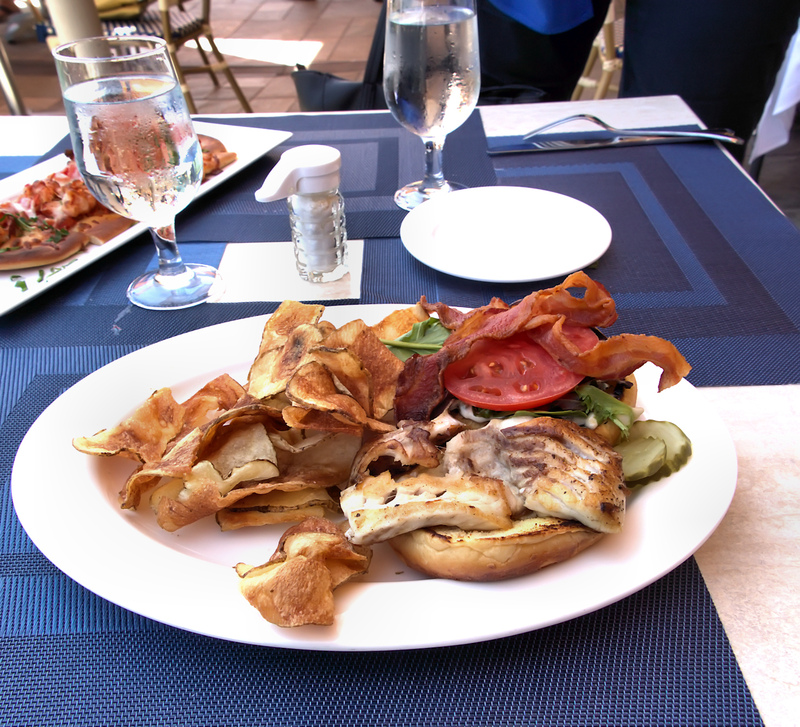 This was a BLT sandwich on brioche bread served with about a three ounce slice of grilled grouper and dressed with in house made tarter sauce. It was good and the fish was a nice complement to that classic BLT flavor profile. In house made potato chips sealed the deal. It's always nice to see this on your plate as a garnish. I ordered the lobster flatbread. This was flatbread topped with artichokes, garlic, mozzarella, parmesan cheese, Italian plum tomatoes and lobster. The flatbread was perfectly cooked and had a nice texture and flavor. There was about a two to three ounce portion of lobster on this dish. One of the criticisms I have of using shellfish on dishes like this is that their rather delicate flavor, especially lobster and crab, can easily be lost in the dish. 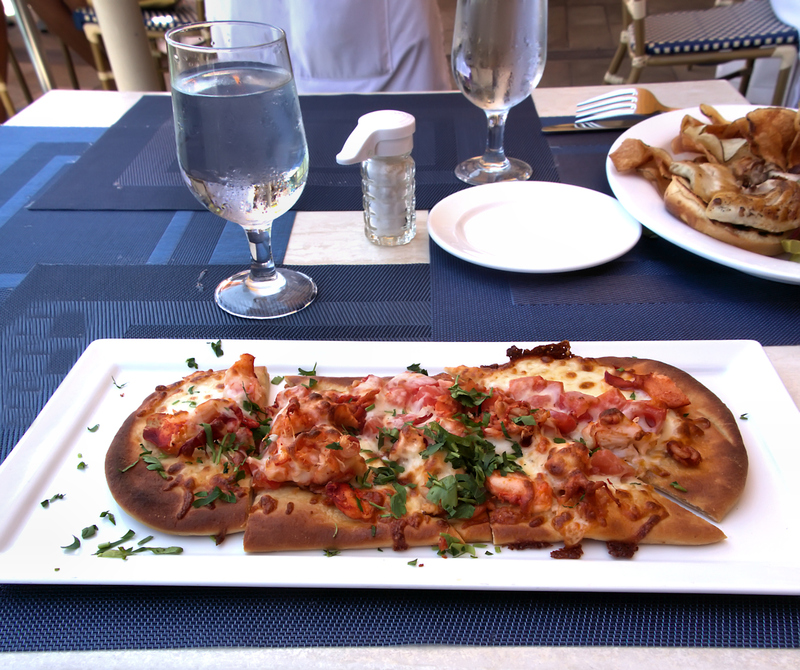 Despite this, lobster flavor did come through on the flatbread and the dish was good. Sean, our server, was excellent. Great menu suggestions were made while ordering, our water glasses were never left empty and our finished plates removed in a timely manner. I had been to Fish before but had never blogged about it. On my visits, I found the service to be excellent, the food consistently good and the view while dining one of the better in the area. What more could one ask for on a sunny day mid March in Naples, FL? It's a wrap for another post on Forks. New Orleans has a rich history in many ways. One of these is its cuisine. 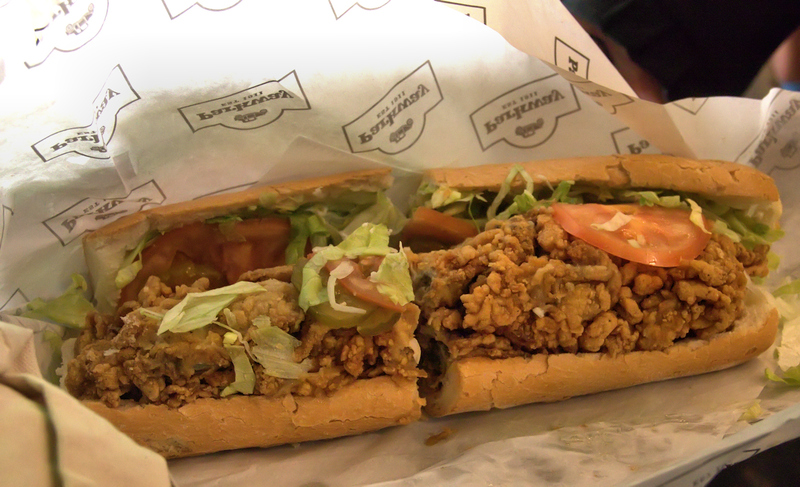 Although many dishes from this area are easily recognized by name, none is more well known nor more prepared out of New Orleans than the poor boy (sandwich). 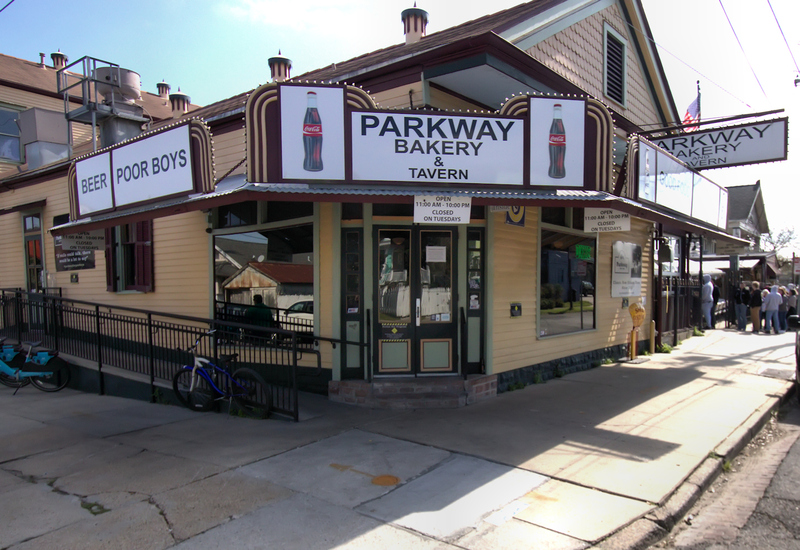 During a recent trip to New Orleans, my traveling companion and I decided to eat poor boys from Parkway Bakery and Tavern (PBT). PBT is credited as being one of the first establishments to serve poor boys in the early part of the twentieth century. Before going further, I think a brief history of the poor boy is in order. As with much of culinary history, that of the poor boy is sloppy, as much as the sandwich can be itself. What is a poor boy anyway? 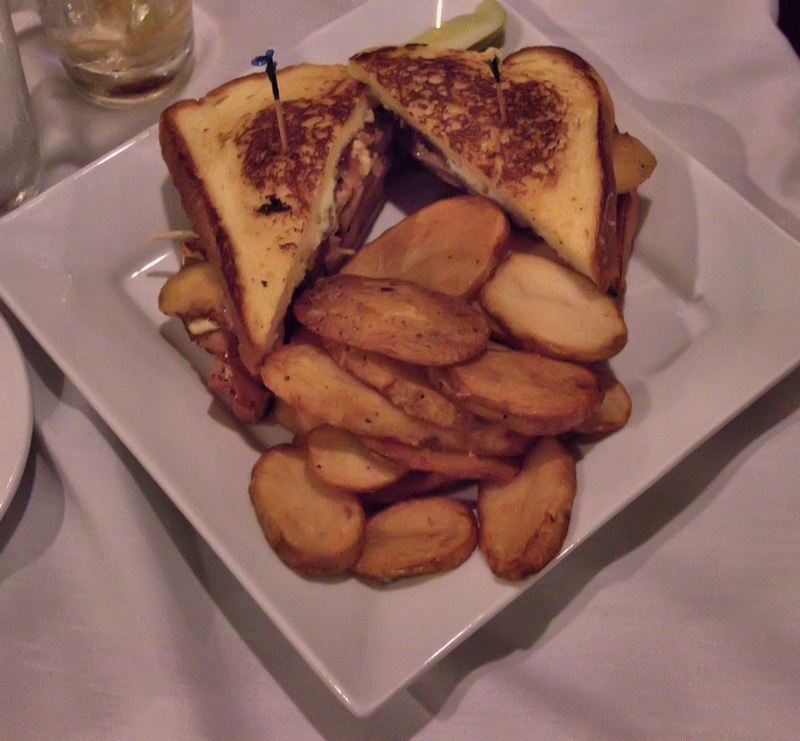 It is a sandwich on specialty French Bread made from just about any filling ranging from french fries to roast beef to fried oysters. Gravies and sauces can top the sandwich's filling, but traditionally the poor boy is "dressed". A dressed poor boy is one that has mayo, tomato, pickles and shredded lettuce as its topping. 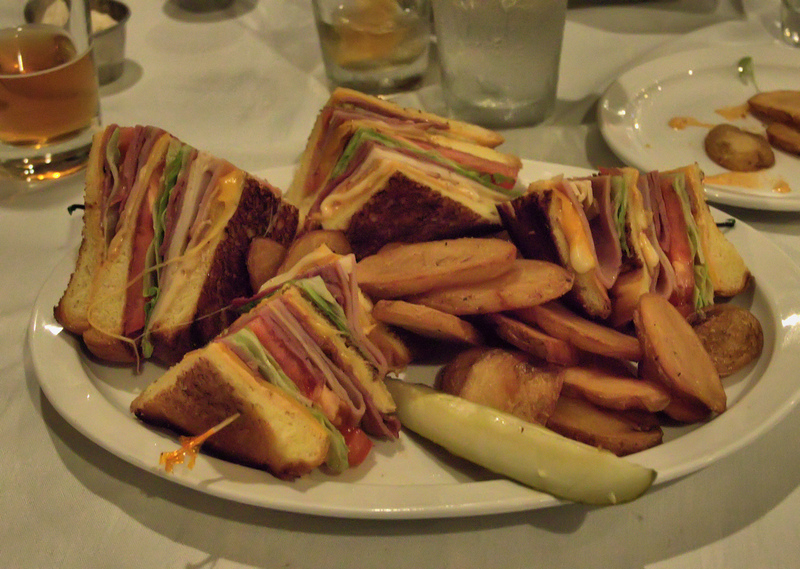 Sandwiches on a bread loaf had been known in the area since at least the mid-nineteenth century. This was, at the time, promoted as a novel method to bring fried oysters home for a meal besides the commonly used tin container. Contemporary notions of a poor boy are credited to the Martin brothers, who opened a cafe in the French Market of New Orleans in 1921. As the French Market is adjacent to the Mississippi River, the Martins wanted to serve affordable food to the dock workers and truck farmers in the area. This predates the commonly accepted story of the Martins providing food gratis to striking streetcar workers in 1929, food for those "poor boys". Perhaps the Martin's real contribution to the poor boy besides its name were their refinements to the commonly encountered bread loaf sandwich of the day. These were the addition of house made mayo, shredded lettuce (unheard of at the time) and consistency regarding bread shape. Most bread used in a modern New Orleans poor boy, specialty French Bread, comes from the famed, over century-old Leidenheimer Bakery there. The French Bread here is known for it's crispy crust and fluffy interior. Some maintain bread from this bakery is the sine qua non of the poor boy. 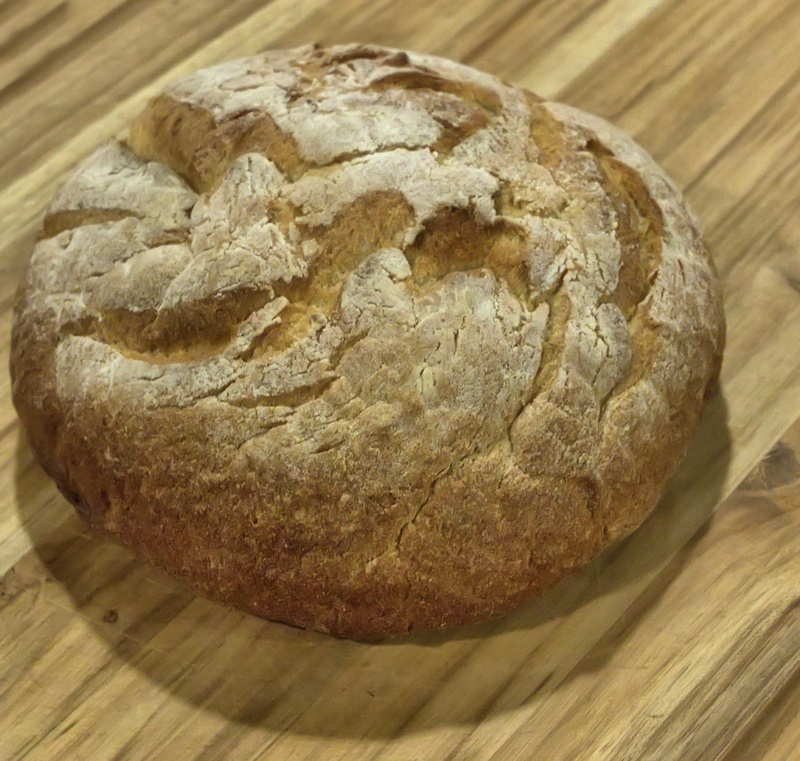 The modified French Loaves for poor boys do not have tapered, but rectangular ends. This allows for no wasted space on the loaf for its contents. 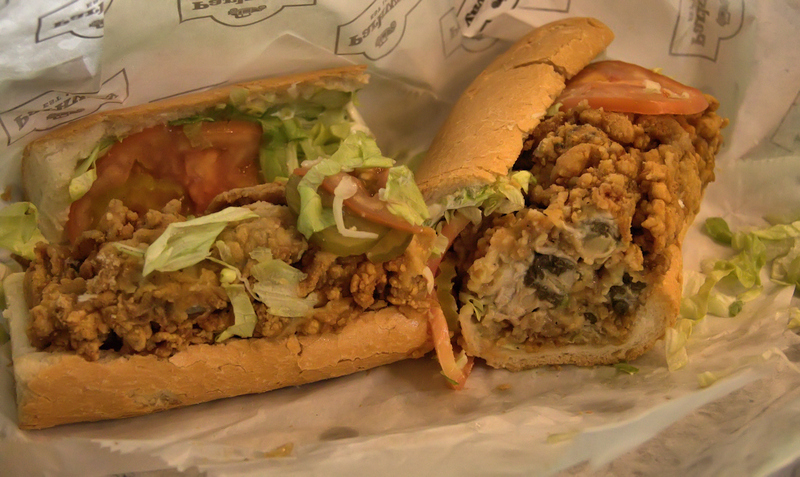 Poor boys are also known as po boys, a term invented by local media in the 1970's. Parkway Bakery opened in 1911, producing breads and pastries. In 1929, as the sandwich gained local fame, a poor boy shop was added to the bakery. This was to primarily cater to the nearby American Can Company, one of the largest manufactures of tin cans and containers at the time. When the nearby can manufacturing plant closed in 1988, Parkway followed five years later. 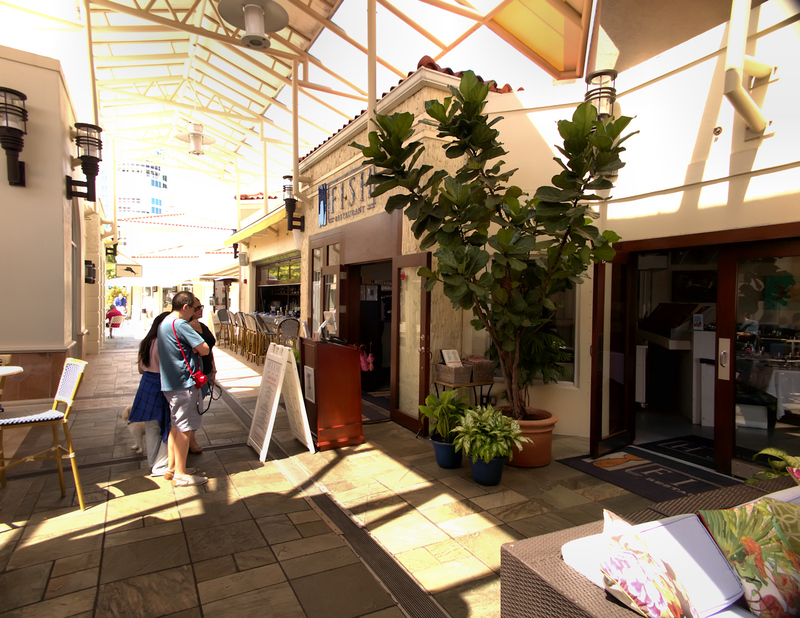 The property was repurchased, opening again in 2005. Although the bakery had been long closed, the present owner added a bar and expanded the seating area. They are said to serve over 1000 people daily. The original building has been well restored, and is a neighborhood, if not city treasure. 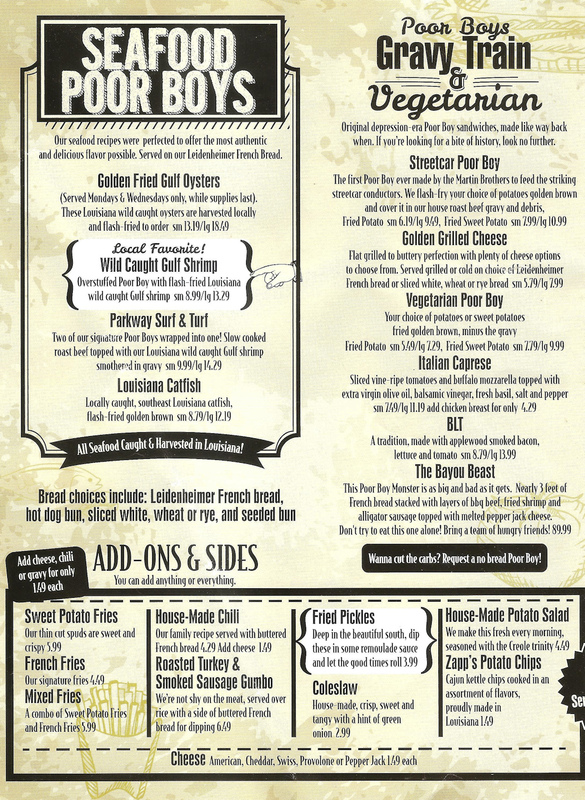 PBT has a very diverse menu. Although there is additional seating inside adjacent to the tavern and outside, we were lucky to get a table in the tavern. I loved the frenetic energy of the bar area at lunchtime, in addition to the historical ambience here. My traveling companion and I shared a large roast beef and oyster poor boy. The oyster poor boy was unbelievably delicious. 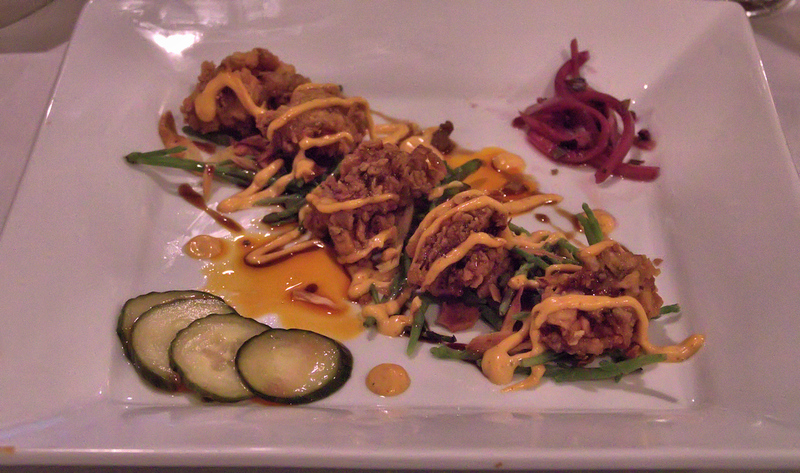 It was dressed, and according to the chef, had almost a full pound of fried oysters on it. The oyster poor boys are only served here on Monday and Wednesday. I would recommend eating here on one of those days. Being a large, this sandwich was more than enough for two. In a gluttonous poor boy feeding frenzy we would come to regret, we also shared a large dressed roast beef poor boy. 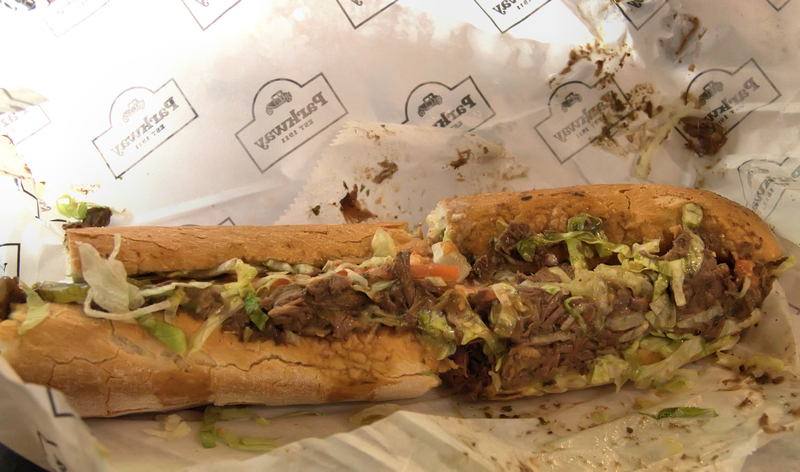 Roast beef poor boys are prepared in many ways in New Orleans. At PBT, the roast beef is simmered for hours in gravy, so much so that it is said to fall apart "if you look at it long enough". When served dressed and with gravy it becomes a sloppy, tasty mess. A friend known locally as a New Orleans aficionado told me a roast beef poor boy is judged by how many napkins one needs to eat one. At PBT, it could easily be a six inch stack, a blue ribbon winner by this measure. My traveling companion, having very much a sweet tooth, ordered the bread pudding for dessert. 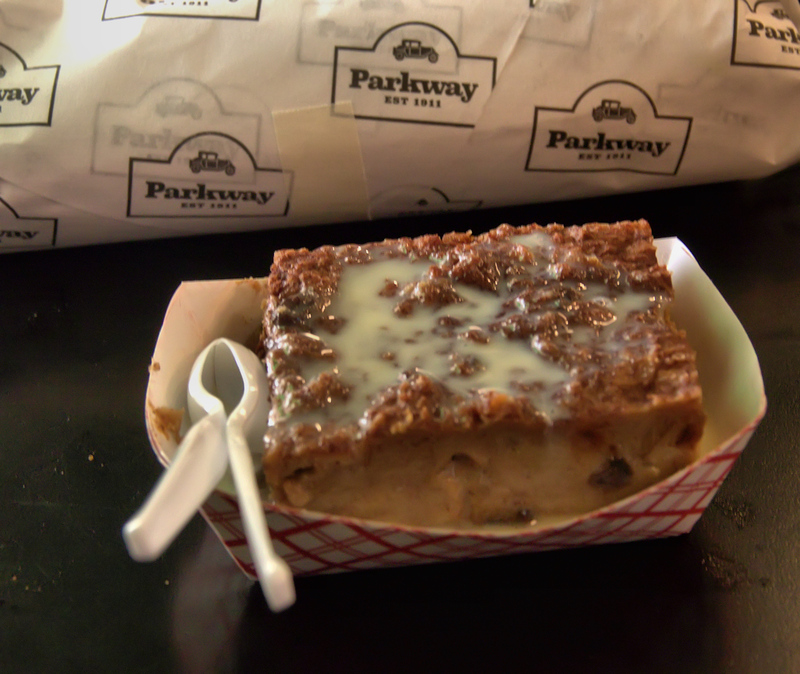 Bread pudding is make from eggs, milk, sugar, raisins and French bread. It is topped with a rum sauce made from rum, corn syrup, vanilla and butter. It is to say the least, sweet and filling. I almost never eat desserts, but tried this and found it, as the sandwiches, delicious. 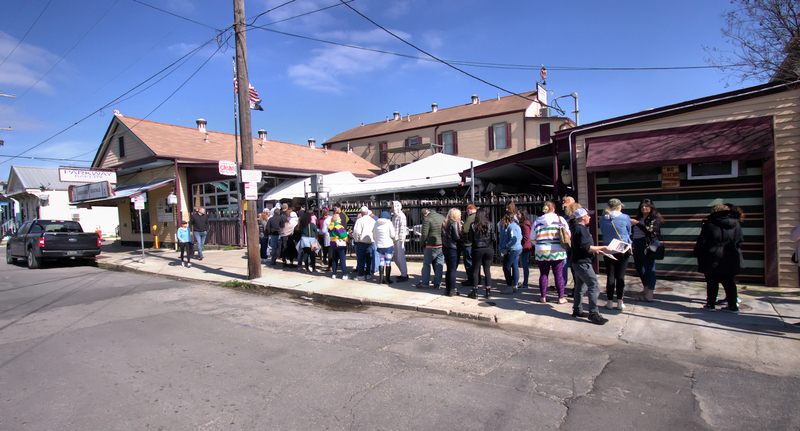 The lines at PBT can be long, especially during Mardi Gras festivities and the annual New Orleans Jazz Fest; the latter held at the nearby New Orleans Fair Grounds. Having eaten at PBT before I was not, as usual, disappointed. The poor boys ordered were excellent in addition to the bread pudding. For two people, I would recommend not ordering more than one large poor boy. It is more than enough for two and if much more is eaten, will keep you very full until almost the next day. This is not something you want to happen if you are visiting the city and want to try as much of the local cuisine as you can. 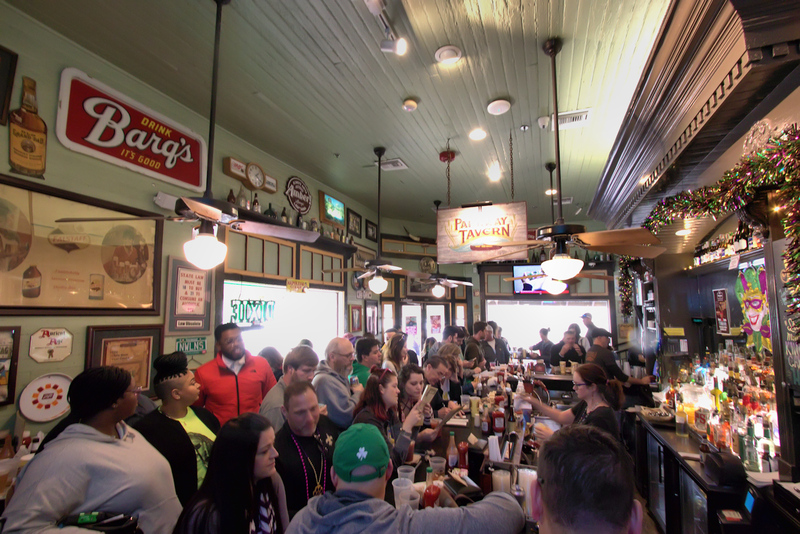 On the flip side, great food such as that served at PBT will give you plenty of sustenance to explore the city or collect throws from the floats as we did during Mardi Gras. 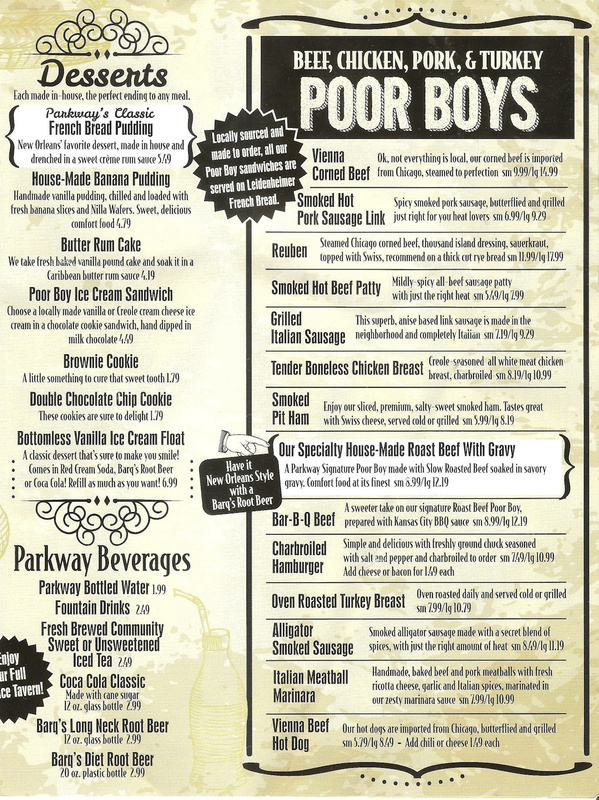 Even if you truly are a "poor boy", the food sampled at PBT is not only delicious but reasonably priced. 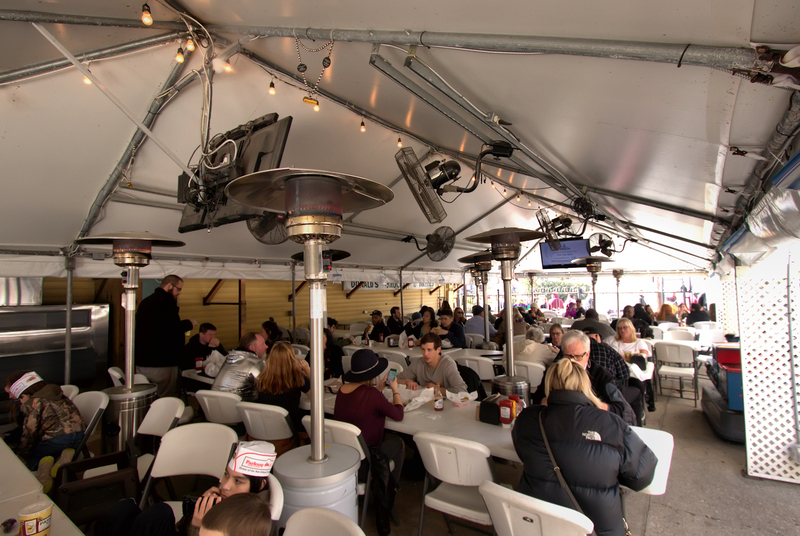 As an added plus, this establishment is also easily accessible by public transport in New Orleans, which costs three dollars daily for unlimited use of buses, streetcars and ferries. When visiting here or at any time, PBT is highly recommended. Open Wednesday-Monday, 11AM-10PM; Christmas Eve and New Years Eve, 11AM-4PM; Closed Christmas and New Years Day; All major credit cards accepted; Kid's meals available; Restaurant parking lot available at no charge. is a restaurant serving primarily, for now, pizza and calzones. The restaurant has been open as of this writing about 2 weeks. They are located in Beach Plaza on the 4800 block of Bonita Beach Road in Bonita Springs. Gatsby's had been in Southwest Florida for many years, and their reputation vis a vis pizza was legendary. The owner, Greg Chapin, closed his business over six years ago to address, at the time, serious health issues. Having gotten medical clearance to go back into business, I was happy to hear Greg was back in the saddle doing what he does best; Pizza. The menu at the moment, as their present hours of operation, are limited. Greg is taking baby steps to get back to full speed ahead with his business. On an initial visit, Greg was nice enough to sit down with my dining companion and I for almost an hour describing his journey through pizzadom. His mother and other family members developed recipes for pizza sauce and pizza dough in 1963. Their intent was to develop a side business for Greg's mother after her retirement, opening "Pizza-a-Go-Go" in Columbus, OH, sometime later. Greg tried learning a trade as an electrician but as more of a people person found it wasn't for him. He was offered a job as a bartender in Gahanna, a suburb of Columbus. He found he loved working with the public and really developed his skills in the hospitality industry here. He was offered an opportunity to open his own tavern in 1977, which he did, and added a pizza restaurant in 1980. His bar/restaurant, Gatsby's Bar and Grille, was extremely successful and is still open in Gahanna to this Day. 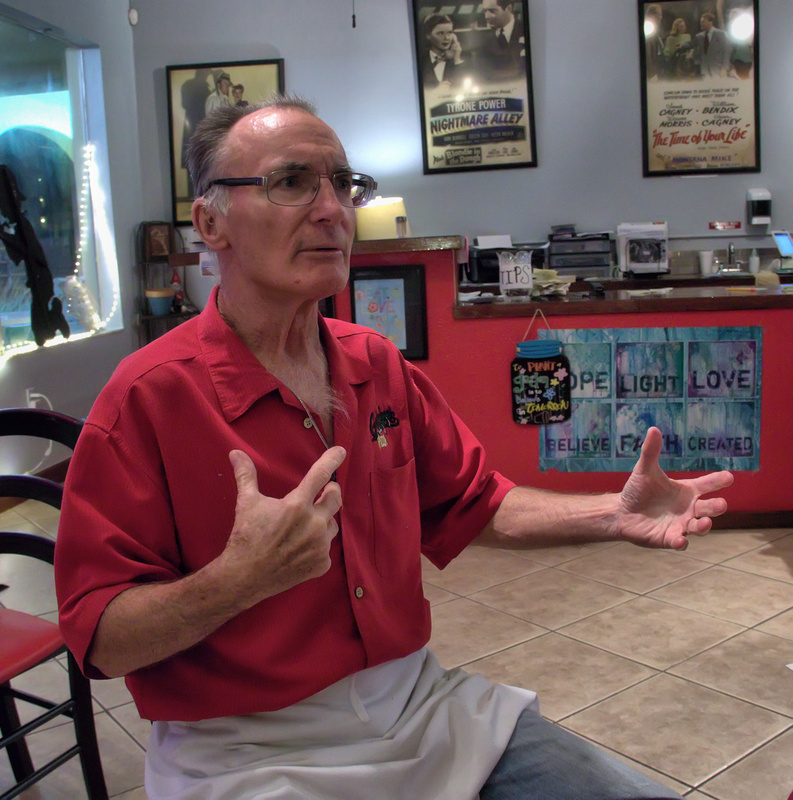 Having sold the business, Greg and his wife moved to Southwest Florida and opened Gatsby's Pizza in North Naples in 2004. They moved to a larger space in Bonita Springs in 2011, but had to close that location due to Greg's serious health issues. Pizza being in Greg's blood, they reopened Gatsby's Pizza a few weeks ago using the almost 60 year old recipes developed by his family. Gatsby's serves what is known as a "Chicago thin" style pizza. 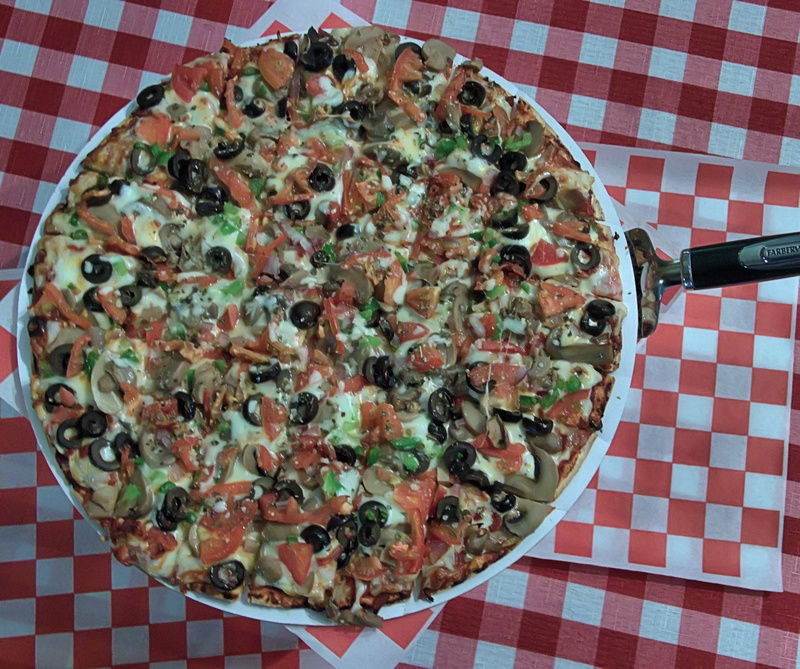 This is pizza that has a thin and crispy crust, and also has no End Crust, sort of like an infinity pool of pizza. 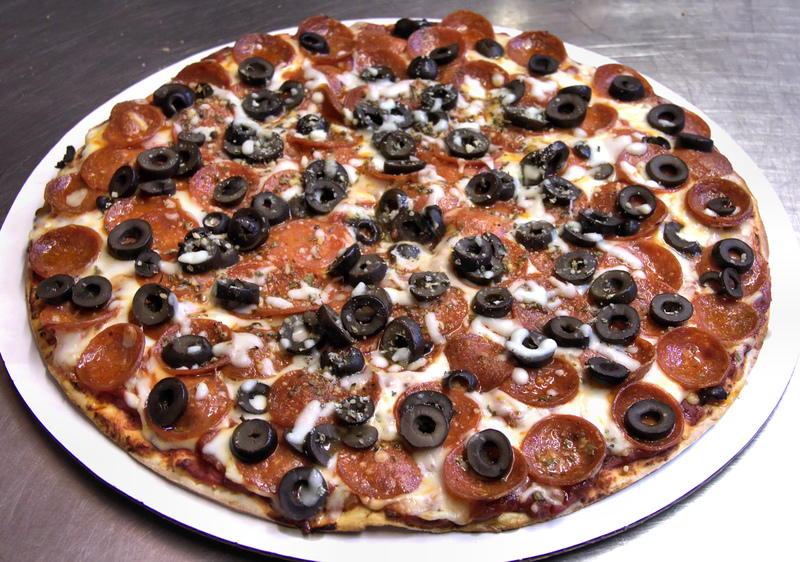 This style of pizza is also traditionally cut into squares. 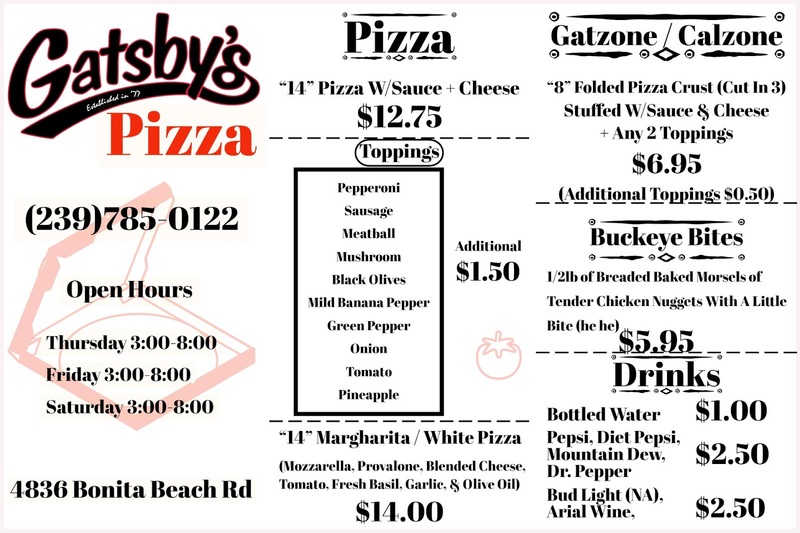 What sets Gatsby's pizza apart from the rest is the pizza sauce and crust used in addition to the more than generous amount of toppings served on their pizzas. 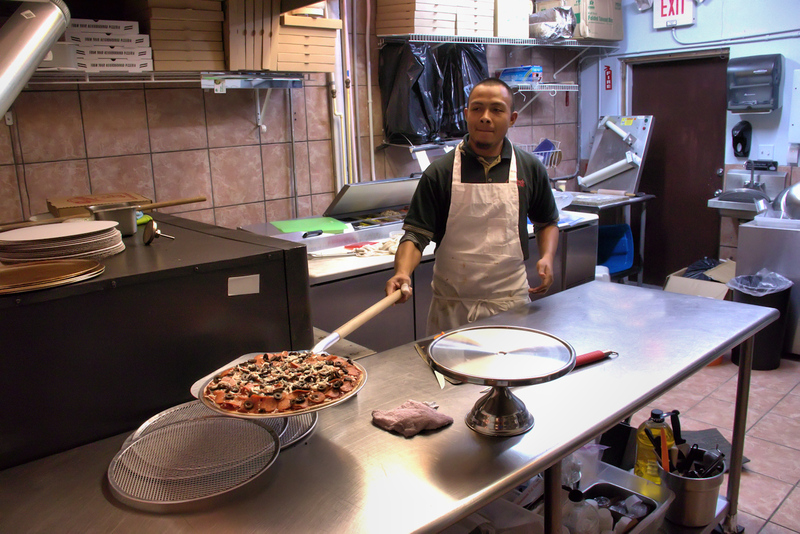 Additionally, they also serve only one size of pizza, 14 inch. My dining companion and I ordered a pizza with mushrooms, onions, tomatoes, green pepper and black olives. This was delicious, and my dining companion and I finished our pie in record time. On a second visit I ordered a Gatsone (calzone) to go, incorporating the same ingredients and sausage. 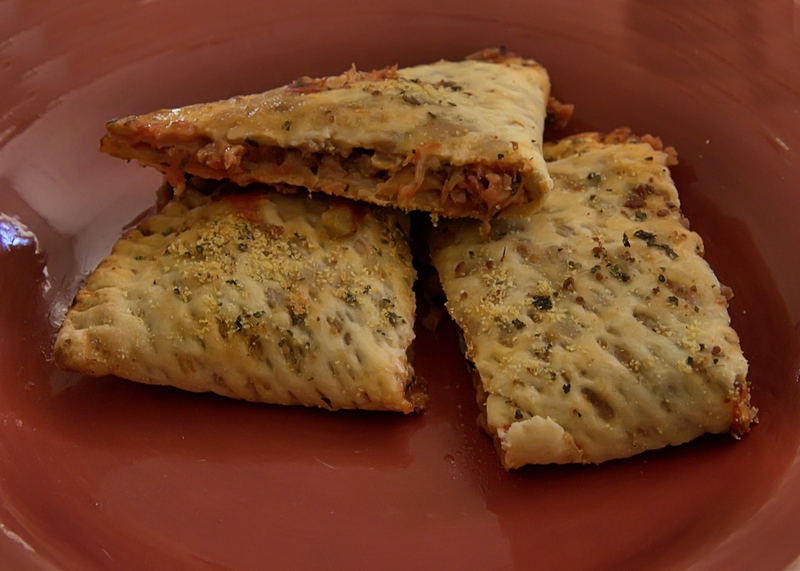 It is made from an eight inch pizza crust folded over and cut in thirds, perfect for one diner. It was also very good, though I think I prefer the pizza a little more. As they are presently expanding their payment options apart from cash and their hours and days of operation in the near future, it would be best, at least for now, to call ahead. Gatsby's Pizza makes really good pizza and I'm glad to see them back. Apart from a pizzeria in the Riverdale area of Fort Myers, I am unaware of any other establishment in the area making pizza in this (Chicago thin) style. They also plan to expand their food offerings shortly. Greg had mentioned his lasagna and his wife's Wedding Soup as possible candidates. With their prior reputation and the high quality of their pizza crust and sauce, I think Gatsby's cannot help but receive a very warm welcome back from the dining public. I was more than happy to be able to taste the fruits of their restaurant again, and will definitely return. Open from 3-11PM Thursday-Saturday; Presently cash only with credit card service to be established. 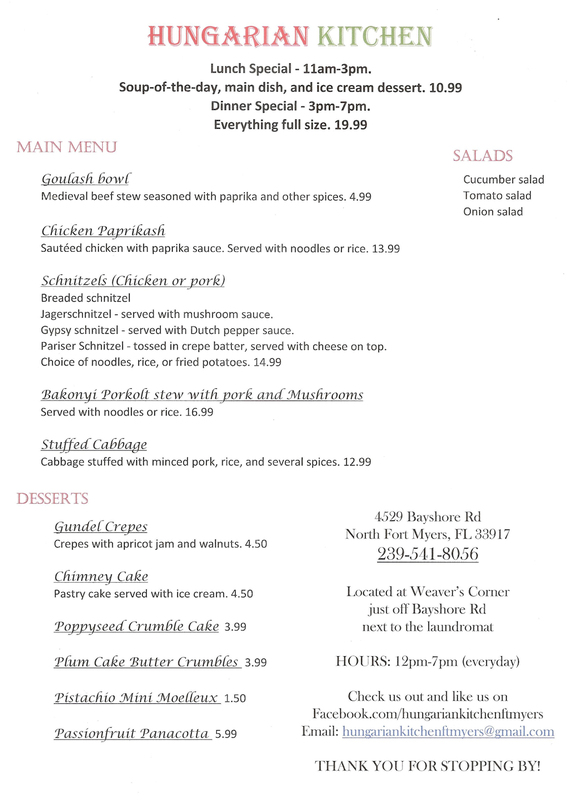 is a restaurant in North Fort Myers serving Hungarian cuisine. They are located in the Weavers Corner Plaza, on the Northeast corner of Bayshore Rd. and US 41. As of this writing they have been open for about one month. Always looking for good food, I had read some very positive things about HK on social media and decided to give it a try. 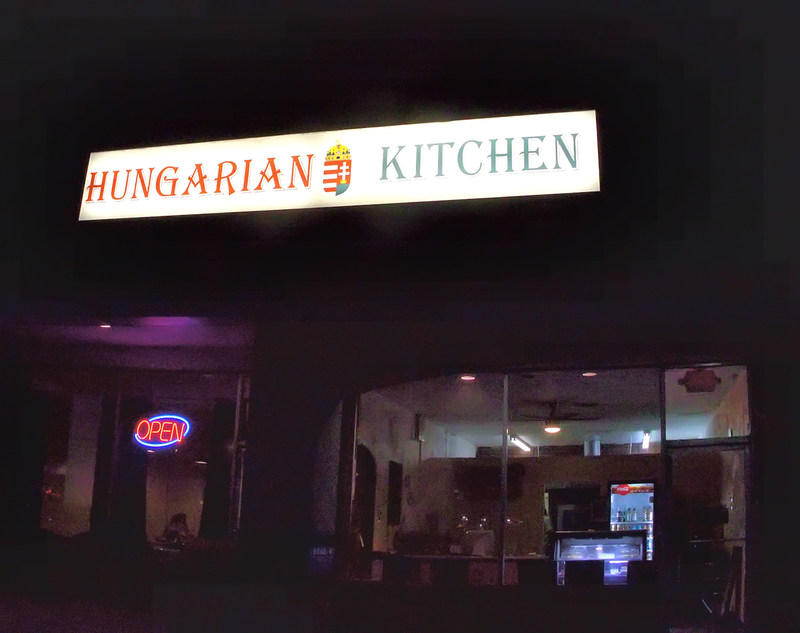 I like Eastern European food from time to time and my dining companion was more than enthusiastic about dining here, so why not? The interior of the restaurant probably seats about 25 people at most. The restaurant furnishings are for now somewhat spartan lest for the doily-like tablecloths that cover the dining tables. I thought this only added to the homey feel this establishment has. We chatted with one of the owners (and cook and sometime server), Eszter. She told us she had ran a house cleaning service for almost 20 years, but was tired of the commute and wanted to switch gears. She is very passionate about her cooking at one point showing us her Dutch bell peppers she used to cook lecso (letch-o), that delicious Hungarian pepper stew, but more on that later. This is the menu for now. Eszter was very enthusiastic about adding new menu items in the near future. We started with a bowl of Goulash, that wonderful beef soup (stew) seasoned with paprika. 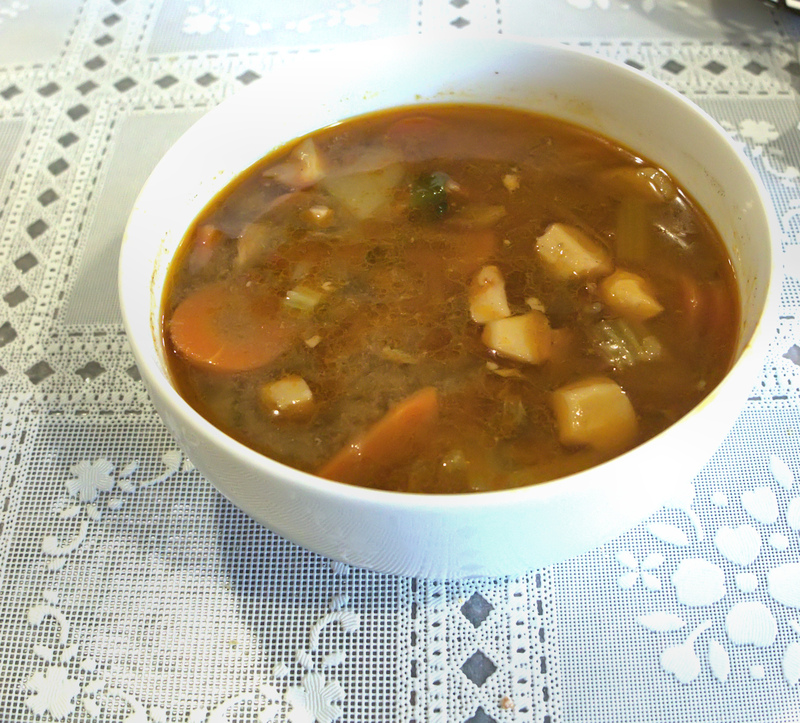 Here, the soup was made with potatoes, onions, carrots and celery. I thought it was good. However, I have come to favor goulash made in the Viennese style. This is more stew-like and is heavily seasoned with caraway seed, almost becoming a liquid rye bread. Don't get me wrong, the goulash served here is good, I just prefer a different style. Along with that we ordered an onion salad. 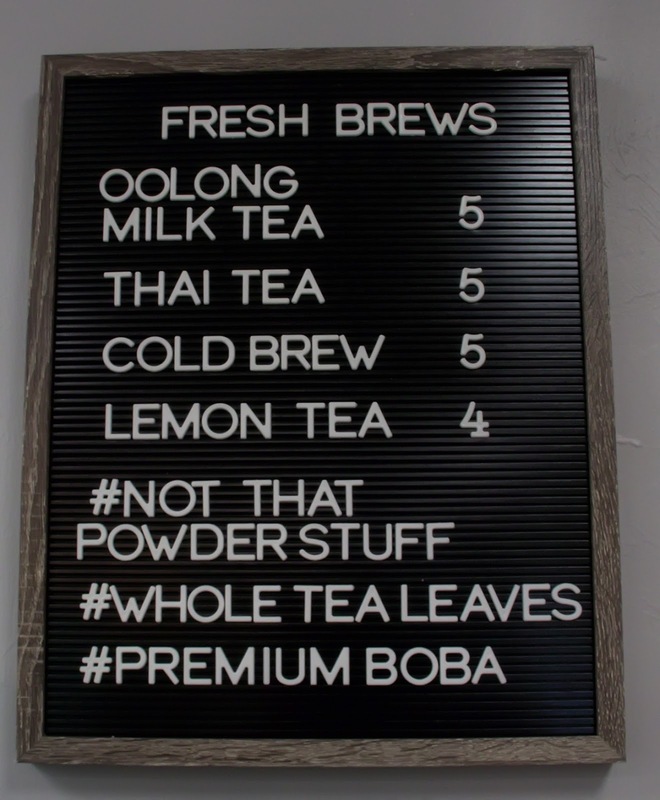 This was very minimalist but good. Onion slices are first washed to partially remove their sulfur compounds so they are not as sharp. They are them seasoned with salt, vinegar, sugar and pepper. It was interesting in between bites of our goulash. Unfortunately, they were sold out of chicken paprikash, that very traditional Hungarian dish of braised chicken in a paprika/sour cream sauce. An adjacent diner, who managed to get the last portion of this saw me maniacally taking photos and jokingly asked if I wanted to take a picture of her food. Of course I said yes! It looked good and a must try item on a second visit. 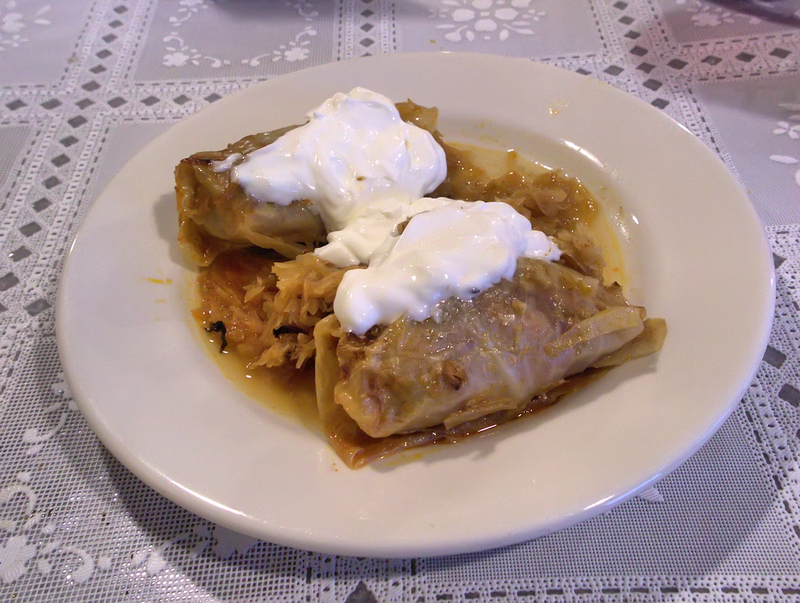 Being out of chicken paprikash, I ordered my second choice, stuffed cabbage rolls. At one time, it was said the Hungarian coat of arms consisted of meat and cabbage. That being said, the stuffed cabbage rolls are very good at HK. The cabbage rolls and stuffed with rice and ground pork, the pork marinating in paprika for one to two days. 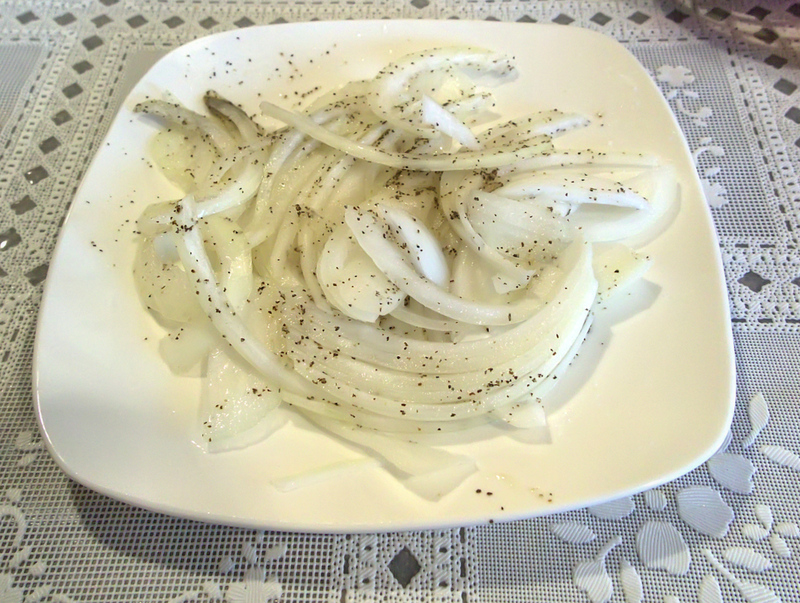 Sauteed onion is also included, and the rolls are baked atop a bit of Bavarian sauerkraut with bay leaf. The rolls are served atop the cooked sauerkraut and their cooking liquid and topped with sour cream. I am used to cabbage rolls cooked in an almost ubiquitously present tomato sauce. Theyy were very different here. Although on the fence about this dish after my first taste, I was a believer as I finished my plate. They served a variety of schnitzels at HK. For those that do not know, schnitzels are usually either pork or veal slices that are pounded thin, which also tenderizes then by breaking up the muscle fibers in the meat and usually fried. Schnitzel-like dishes show up all over the world such as the Latin American milanesa or the Japanese tonkatsu. Probably the most recognizable schnitzel is jagerschnitzel or hunter's schnitzel. It is breaded and fried and served at HK in a mushroom sauce. The restaurant also serves zigeunerschnitzel or gypsy schnitzel. Looking into this, I think this is the world's only politically incorrect schnitzel! The gypsies were another persona non grata ethnic group in greater Germany during World War Two so this dish has been renamed Balkanschnitzel in many areas of Germany. None the less, gypsy schnitzel is served at HK with lecso. Lecso is an incredibly savory stew of Hungarian wax peppers, onion, tomato and paprika cooked in bacon fat and/or with sausage. 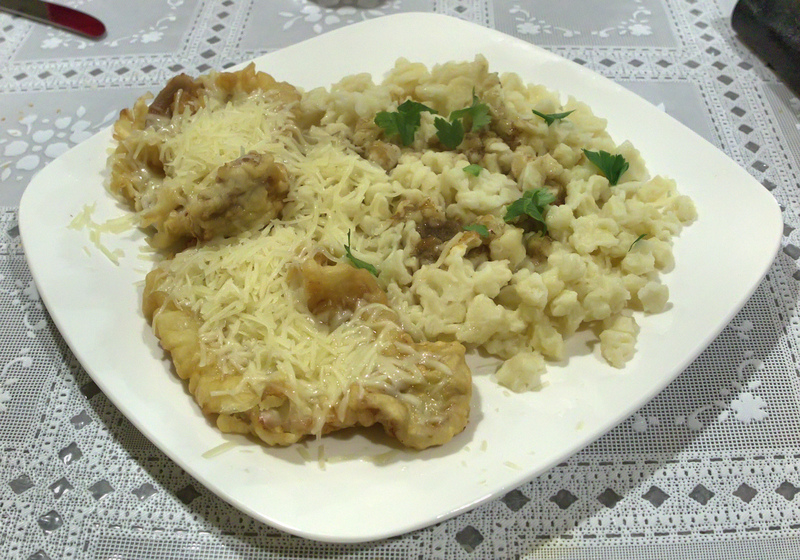 This dish can be ordered breaded (German style) or non breaded and sauteed (Hungarian style). My dining companion would have none of this and ordered schnitzel Pariser (Parisian) style. This is battered, but not breaded schnitzel which is topped with cheese. At HK, crepe batter is used. It was suggested the dish be ordered with rice but we could not pass up in house made nokedli, the Hungarian version of spatzle. This was an interesting version of schnitzel, but I think I prefer a sauce with mine. I can see now why rice was recommended, as although very good, the house made nokedli would have been that much better with some sort of topping. My dining companion loved this dish however, and would order it again. When we were chatting with Eszter, she had mentioned that there were a number of items available off menu from her kitchen. These ranged from desserts such as Dobos torte, a Hungarian sponge cake layered with chocolate buttercream and topped with caramel, breads like German potato bread, to meats like artisan kolbasz. Kolbasz is the Hungarian word for sausage. When she had told us she had smoked kolbasz that took five weeks to prepare and was smoked with corn cobs and cherry wood, I couldn't resist. She was kind enough to bring out a sample, served with bread, salted tomatoes and sliced Dutch pepper. 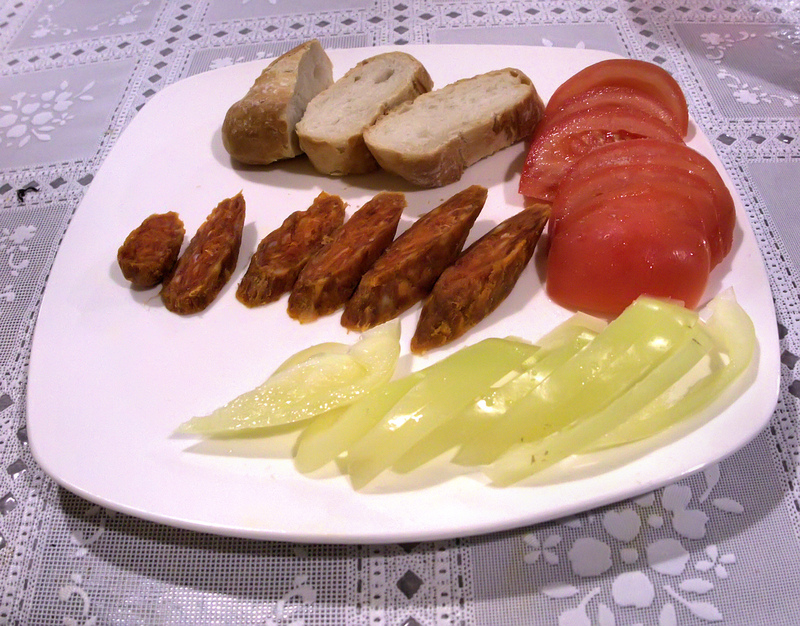 I really think this was Lecso Kolbasz, a smoked sausage used in lecso. It was fantastic and to me, almost the highlight of the meal. I think what made this so special was that you probably cannot buy this sausage anywhere in the area. I made sure I bought some of this before I left. We finished the meal with a poppy seed crumble cake, a classic German dessert. 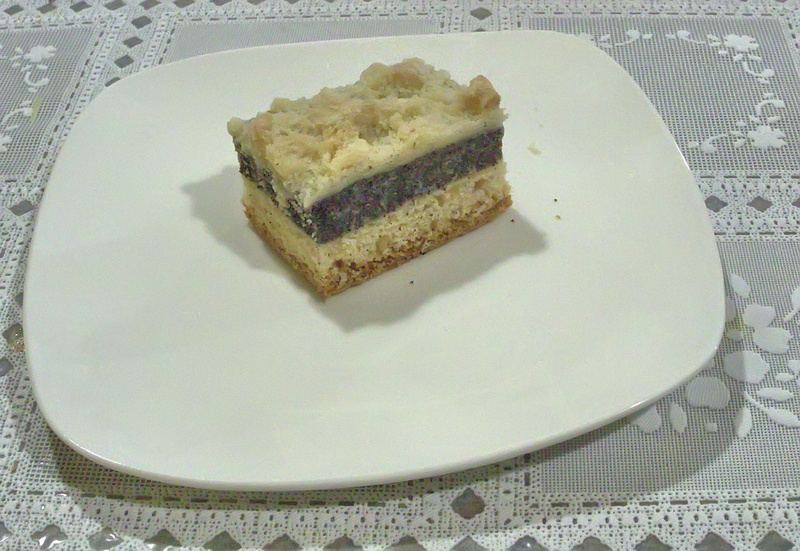 This is a three layer cake with sort of a drained yogurt/flour crust, a thick layer of vanilla flavored poppy seeds and a topping of butter, sugar and flour crumbles. 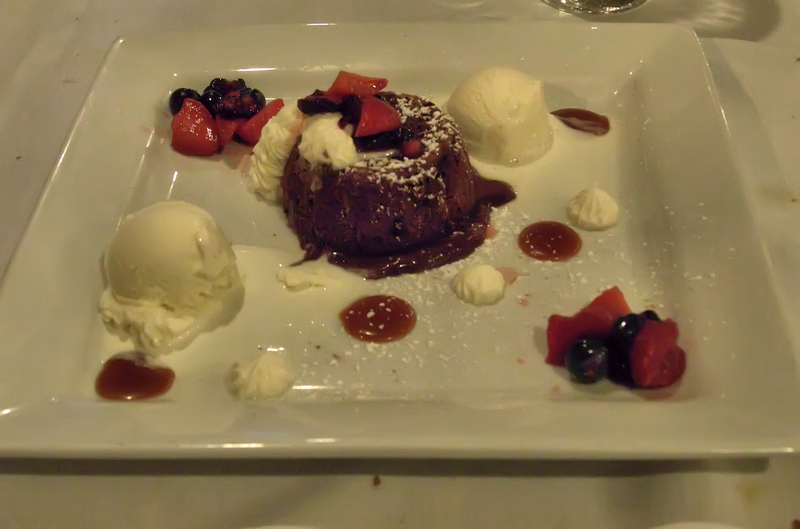 I do not have much of a sweet tooth, but it was good and my dining companion loved it. I thought the food at HK good to very good and will be back for more. If you go, be sure to check on the availability of off menu items from their kitchen. You may be, as I was, pleasantly surprised. Open daily 12-7PM; All major credit cards accepted; Only non alcoholic beverages served. 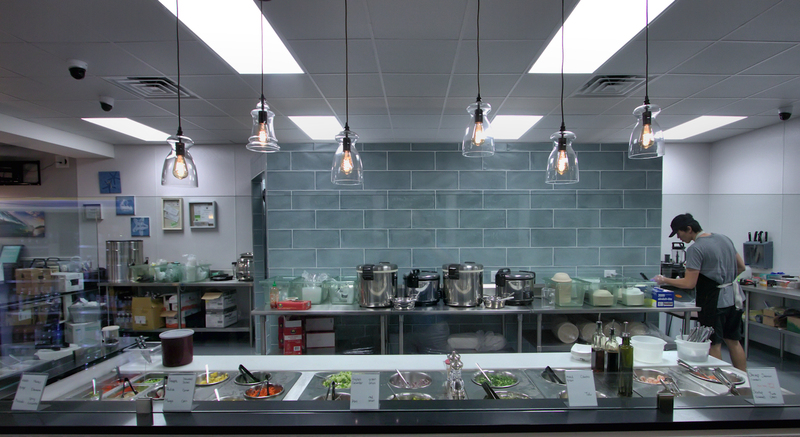 Poke Bowl Cafe (PBC)is an eponymously named cafe in Fort Myers, FL that serves poke bowls. What are these you may ask and how do you pronounce it? Poke is like okay with a "p". Also, traditionally, poke is raw tuna, octopus or other seafood that is seasoned with ingredients such as sea salt, seaweed and limu, algae indigenous to the Hawaiian islands where poke originated. Recently poke has been popularized in poke bowls. This is a fast or fast/casual restaurant concept. 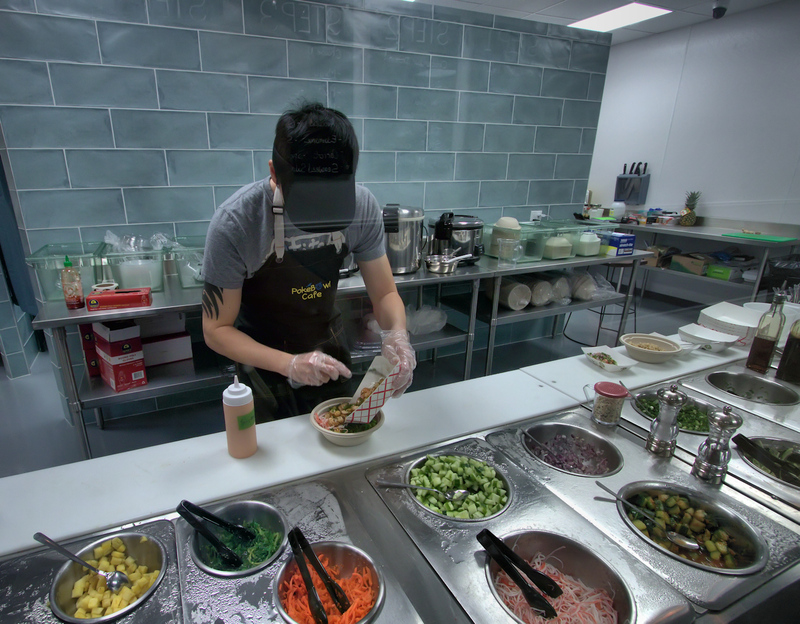 Diners order multiple ingredients that may include poke from a front counter, and either are served their food at the point of ordering (fast food) or have their food brought to them after their order (fast casual) . PBC offers a number of poke paradigms, depending on the number of proteins one orders. At PBC, one is offered a myriad of options. There is a small, medium or large bowl that consists of one, two or three proteins, respectively. At PBC this consists of raw salmon, tuna, cooked shrimp or bay scallops or tofu. 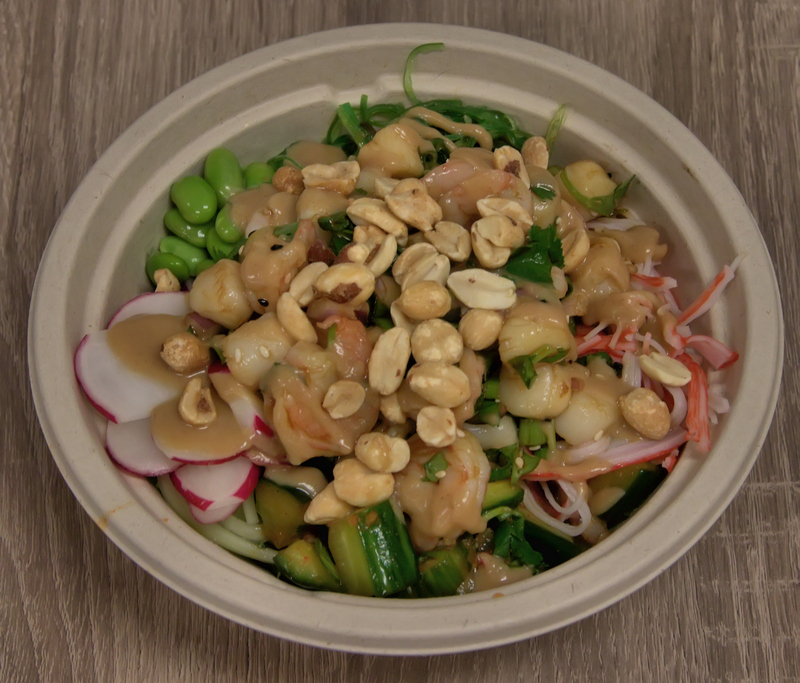 For the base of your poke bowl, you are offered brown or sushi rice, mixed greens, zucchini noodles (zucchini shredded like noodles then cooked) or soba, those wonderful thick, buckwheat Japanese noodles. You then have a choice of toppings. 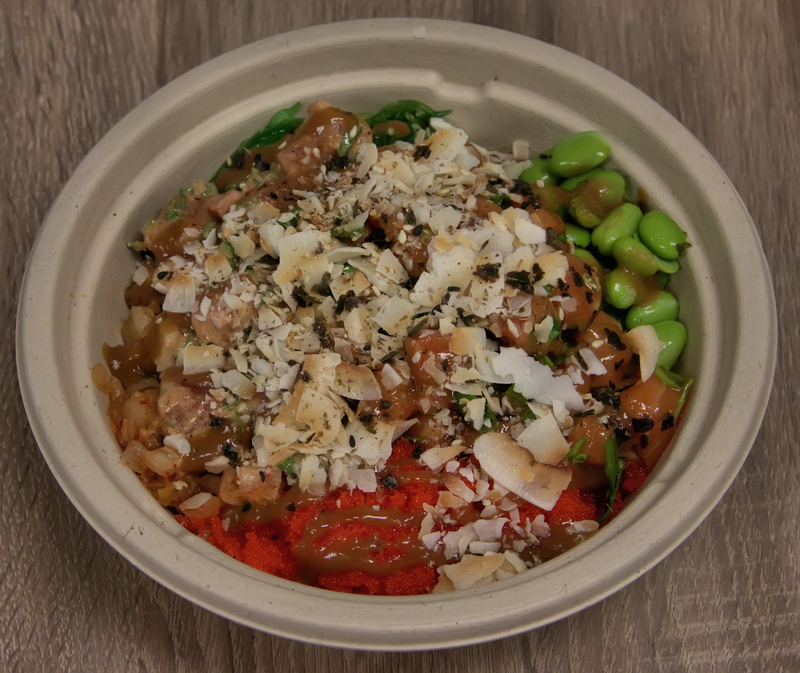 There is an option of 4, 5 or 6 toppings based on the size of your poke bowl (small, medium or large, respectively). Toppings include mayo, kani (krab stick), masago (capelin fish roe), avocado, edamame, carrot, seaweed salad, pineapple, radish, corn, kimchi, spicy cucumber and cucumber. Additional toppings are available at 50 cents each. A choice of sauces is next that include house soy, creamy ginger soy, volcano (a spicy mayo), miso peanut sauce, sesame eel and cilantro sauce. 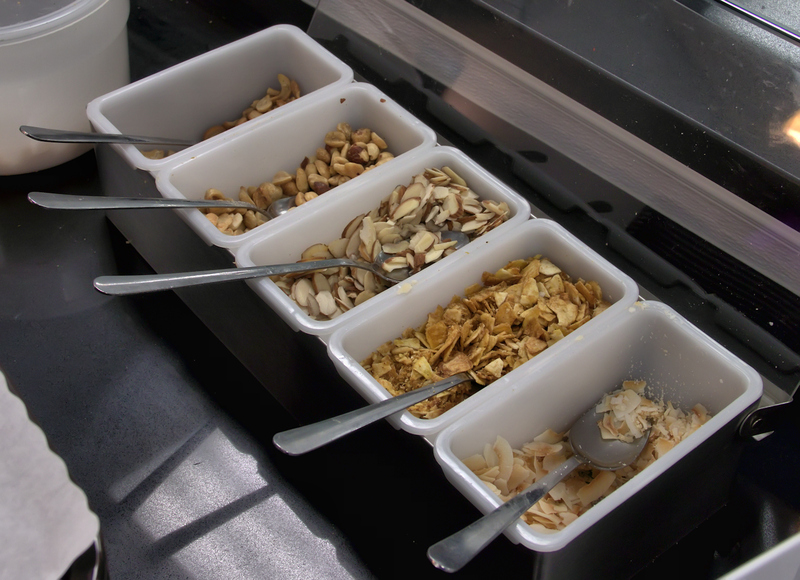 You are then asked if you would like a variety of garnishes which include peanuts, cashews, almonds, plantain chips or sweetened coconut. Finally you are offered a dusting on your poke bowl of furikake, a mixture of dried fish, sesame seeds, chopped seaweed, sugar, salt, and monosodium glutamate. This is something very different and is a brick in a wall of a tsunami of umami that is offered at PBC. A number of beverages are also served. These include a few alcohol choices (beer and wine) in addition to soft drinks. Specialty beverages are also available. Here is what my dining companion and I ended up with. I ordered a poke bowl with spicy tuna and salmon. The base was brown rice. Toppings were double masago, edamame, kimchi and seaweed salad. Sesami eel sauce and plantain chips sealed the deal. My dining companion eschews raw seafood, and had cooked shrimp and scallops on zucchini noodles. Toppings included edamame, radish, seaweed salad, cucumber and shredded krab stick. Miso peanut sauce and a peanut topping finished the dish..
We also tried a couple of other restaurant snack offerings, the beef gyoza and the takoyaki. 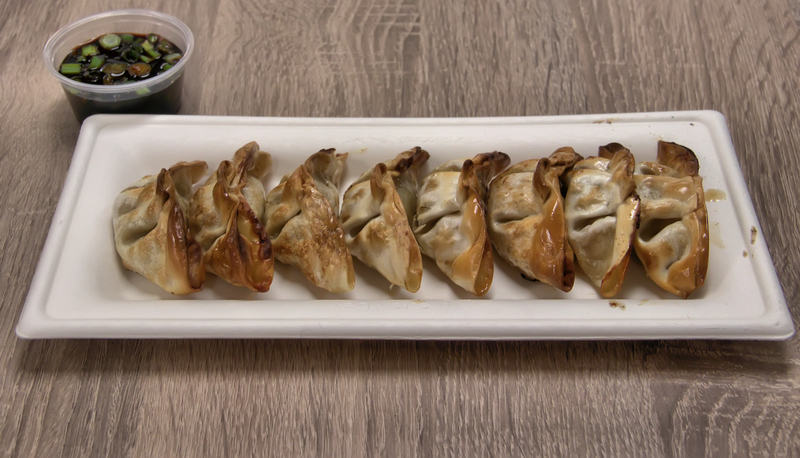 The gyoza were excellent and terra incognita to me as they were baked rather than steamed or fried. Served with a soy green onion dip they were very good. 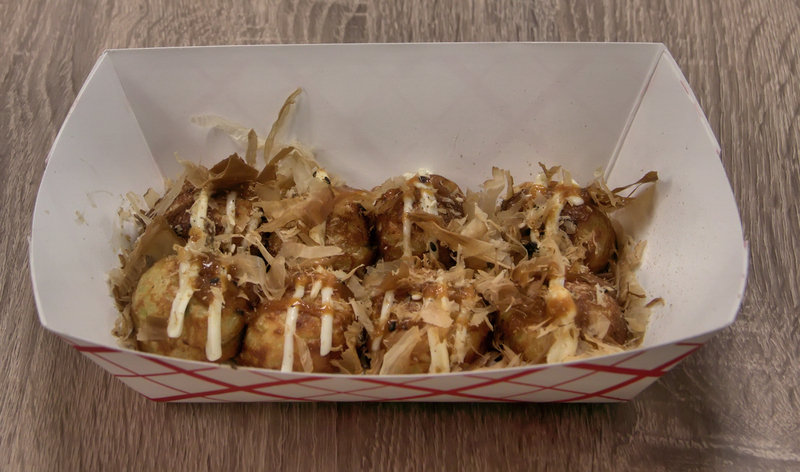 Takoyaki was something I have never had, a puffed wheat flour ball (almost like pancakes) that had a piece of octopus inside and topped with a spicy mayonnaise sauce and bonito flakes. It was interesting and enjoyable. 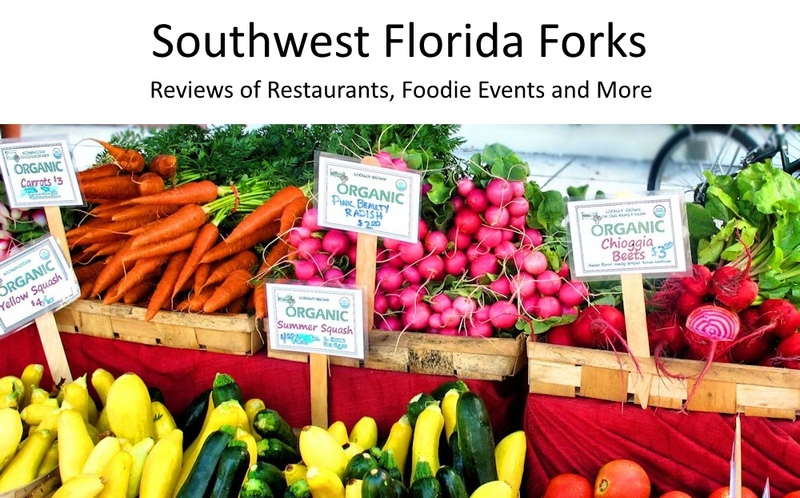 The food at PBC is excellent and a breath of fresh air in the Southwest Florida dining scene. The food here can accommodate a variety of diets, from vegan to carnivore, is delicious and will not disappoint. I want to go back just for a poke bowl foundation of soba noodles and more of the excellent toppings and sauces available here. This establishment is a hidden gem in our local dining scene and is highly recommended. I cannot recommend PBC enough.